Hope you have been receiving the updates of our project from Milaap. It has almost been a year since we initiated this project in our location (Taranagar, Rajasthan). As the academic year comes to a draw, looking back on our project implementation, we have made a report on the journey of each of our schools through the project. The report aims to give a glimpse of the outcome of our project. You can download the project from here. If you have any queries, or need more information, please feel free to contact any of the individual fellows using the mentioned email IDs in the document. We have rolled out smart classes to 3 more schools in Taranagar, which were inaugurated in front of the community as part of the Independence Day celebration. Please follow our Facebook Page to not miss out on any further updates. We once again thank you for your support. 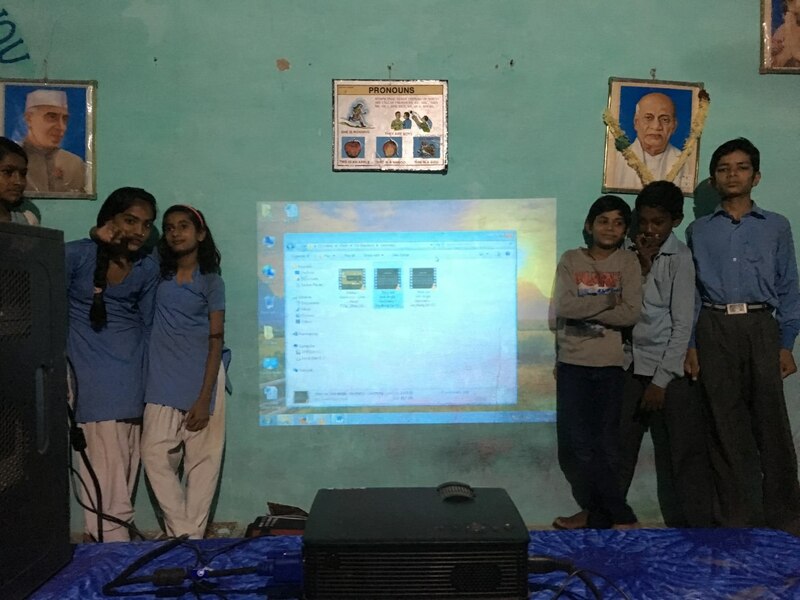 We are happy to announce that after procuring the equipments, we have begun roll out of the smartclasses in 3 governments schools of Taranagar. We have decided to provide 1 smart -classroom per schools due to the stringent budget that we are working in. We will be expanding to 7 more schools in the coming weeks. We apologise for lack of updates in past few weeks, as they have been very hectic. Thank you for your continued support. We would like to take this opportunity to thank our NGO partners at Goonj and Ganpat University for their support of Project Kaleidoscope. We also understand that not everyone wants to receive fortnight updates emails, so we will be posting the updates on our Facebook page “Project Kaleidoscope“ from now on. Lastly, all of the teachers and students in the government schools of Taranagar would like to convey they heartfelt gratitude to you, for supporting the transformation of the Indian education system.